Is the Show Losing its Sheen? More than the business deals, the joint ventures, amazing technologies and the static and aerial display of aircraft, two things that remained on everyone’s mind — when will India have one really good air show and where will it be held in a professional manner? 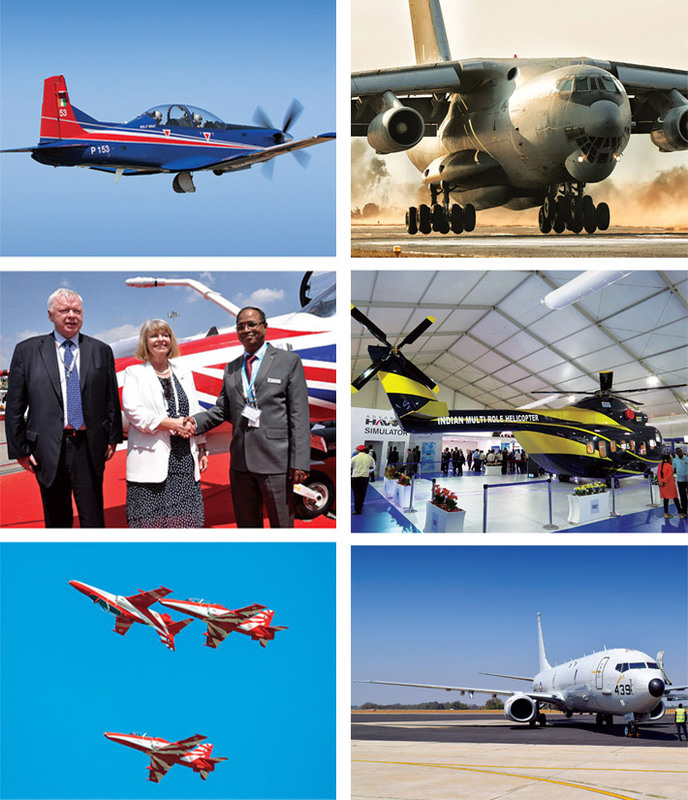 Presently, we have the Aero India, predominantly defence show, which is held in Bengaluru and India Aviation, civil aviation show, with Hyderabad as its location. In the 11th edition of Aero India from February 14 to 19, 2017, there was not only a sense of déjà vu, but also that the show was losing its international sheen. At one time, there was promise that it would overtake the air shows at Dubai and Singapore, but no. It is not likely to happen as the bureaucratic hold is enormous on the show. 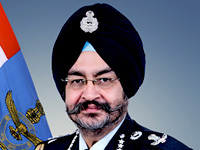 Unlike, Farnborough, Paris and Dubai where the air shows are organised by private and professional organisations, in India it is the Ministry of Defence and now included the Ministry of Civil Aviation. Paris and Farnborough need not market as they are so well established, but yet they do through their professional marketing arm. Aero India marketing seemingly is missing or how else can you explain a decrease in the number of exhibitors from nearly 700 in the previous edition to about 500 in 2017. Is anyone held accountable for the decrease in the number of exhibitors, a big doubt? Importantly, some of the exhibitors voiced that they paid more for the stalls this year, but the facilities they got were much less and also that the show looked more ‘local’ due to the huge presence of MSMEs. Nothing wrong about MSMEs, but then the big boys of aerospace and defence make a lot of difference to an air show and that was missing. Coming to the venue per se, the Air Force Station, Yelahanka, on the not-so-far outskirts of Bengaluru, has become ‘unfriendly’ to the business visitor. Starting from getting into the venue to moving about in the venue, it is chaotic, to understate. With vast land area at the Air Force Station, the organisers by now should have plugged all the gaps at the venue, having gone through 10 editions. But alas no. Wherever the next edition is going to be held, it is hoped that professionals will be roped in to organise and not in the last minute. There is already talk that it could be Goa. We never know! But Goa is not the place for a mega air show. The tiny airport cannot handle aircraft movement, nor will the roads for vehicular traffic. Defexpo held earlier in 2016 showed the gaping holes in organising in a back of beyond place. Be that as may, that there is going to be convergence of these two biennial shows is for sure. Both, the then Minister of Defence Manohar Parrikar (since resigned and now Goa Chief Minister) and Minister of Civil Aviation, P. Ashok Gajapathi Raju, announced that it would be one show. And for the first time, the two Ministers shared the inaugural platform as well as addressed the joint press conference. 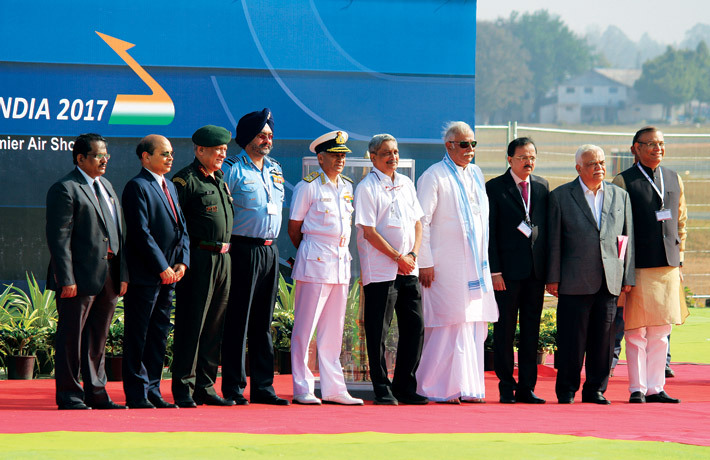 At Aero India this convergence was on full display, at least at the ministerial level, though on the ground there was hardly any noticeable civil aviation element. As for the other question, where it will be held, it is a million dollar question. here are still many organisational issues. (Top, L-R) Blazing the sky: Dassault Rafale performing a manoeuvre over Yelahanka Air Force Station in Bengaluru; HAL manufactured light combat helicopter over Yelahanka; (Above, L-R) IAF’s Su-30 MKI flying at near super sonic velocity; indigenously built LCA Tejas in flight. There were no major defence deals to write home about. However, the recurring theme in the last two years has been ‘Make in India’. The flagbearer of this theme was the Advanced Hawk by the Hindustan Aeronautics Limited (HAL) and BAE Systems. 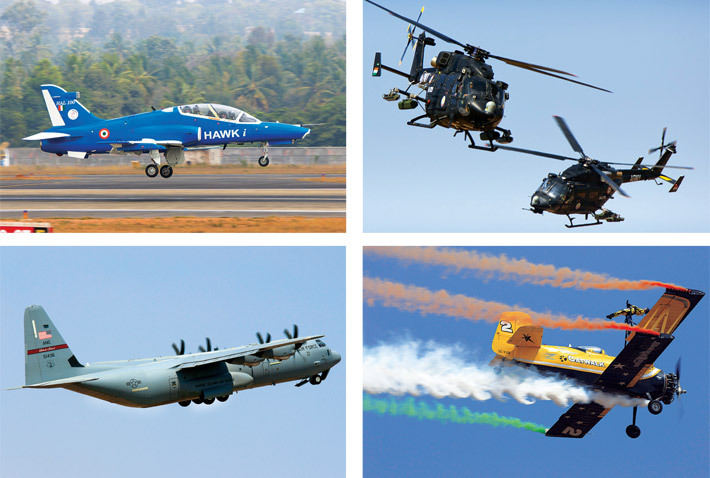 (Top, L-R) HAL manufactured Hawk-I trainer in the take-off mode; Indian Army’s Rudra helicopters performing on Yelahanka skies; (Above, L-R) USAF C-130J Super Hercules in flight; Scandinavian Skycats performing an aerobatic act on Catwalk. For the first time in India, BAE Systems showcased the Advanced Hawk, the latest development of the world’s most successful jet trainer, in collaboration with HAL. 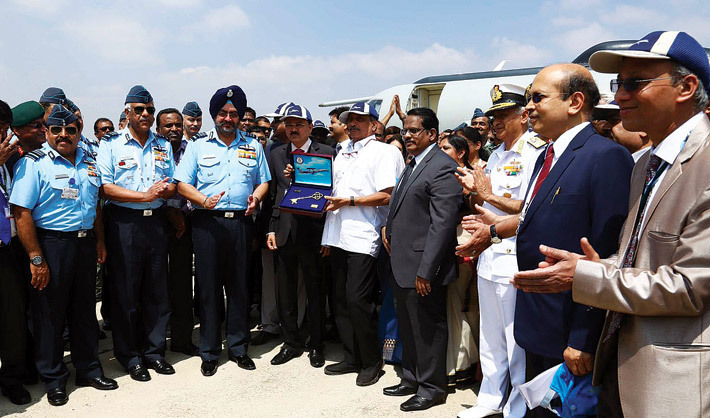 This fulfils the commitment made jointly by BAE Systems and HAL at the 2015 Aero India to explore future possibilities for the Hawk aircraft for India and export markets. Clad in Indo-UK colours, the Advanced Hawk was on display at HAL’s stand, together with a simulator showcasing the aircraft’s new capabilities. Building on the success of the Hawk Mk132, which recently completed 1,00,000 flying hours with the Indian Air Force and the Indian Navy, the new features of the Advanced Hawk enable training activities currently performed on front line fighter aircraft to be undertaken on the updated air platform. HAL is going aggressive on its production and upgrade of various aircraft according to its Chairman and Managing Director, T. Suvarna Raju. HAL had completed 180 units of Sukhoi MKI against an order of 222 and the remaining would be delivered in 2019-20; the LCA MkI will be completed in 2019-20 and it had got the Defence Acquisition Council (DAC) approval for 83 LCA MkIA. HAL would be ramping up production of LCA from 8 to 16 aircraft for which the cabinet had cleared Rs. 1,390 crore. HAL would complete deliveries of the advanced light helicopter (ALH) by 2017-18, having delivered 136 out of 159 ALH. Another 73 ALH order would be signed in the next few days. The basic configuration of the light combat helicopter (LCH) had been completed and had got DAC approval for 15 LCH, 10 for the Indian Air Force and five for the Indian Navy. HAL has a healthy turnover of Rs. 16,736 crore in 2015-16, a growth of 7.14 per cent and by end of January 2017, it had sales of Rs. 10,086 crore. “The future of Indian aerospace and defence industry rests on the realisation of the 'Make in India' vision,” said Pierre de Bausset, who heads Airbus India. Airbus has partnered with the Tata Advanced Systems Limited to set up a final assembly line for C295W military transport planes in the country. The C295Ws will replace the Indian Air Force’s ageing Avro fleet as part of a $2-billion programme for 56 new planes. While 16 of these will come in a flyaway condition, the remaining will be built in India. (Top) IAF Pilatus PC-7 MkII training aircraft during a flying display; IAF Il-76 preparing to land; (Middle) Harriett Baldwin, MP & UK Minister for Defence Procurement was given a demonstration of BAE Systems and HAL partnership’s latest collaboration, the Advanced Hawk fast jet trainer; HAL’s mock-up of Indian Multi-Role Helicopter (IMRH); (Above) Aerobatic demonstration by Surya Kiran Aerobatic Team (SKAT); US Navy P-8A Poseidon on static display. The US-India Business Council (USIBC) showcased continuity in the defence and security partnership between the United States and India following designation of India as a “Major Defence Partner”, which directs the US Government to prioritize defence trade with India. The international delegation consisted of over 20 senior executives from American aerospace and defence companies. Boeing exhibited the company’s advanced commercial and defence products and services capabilities of interest to India. A KC-46A Air Refuelling Operator System (AROS) was on show. 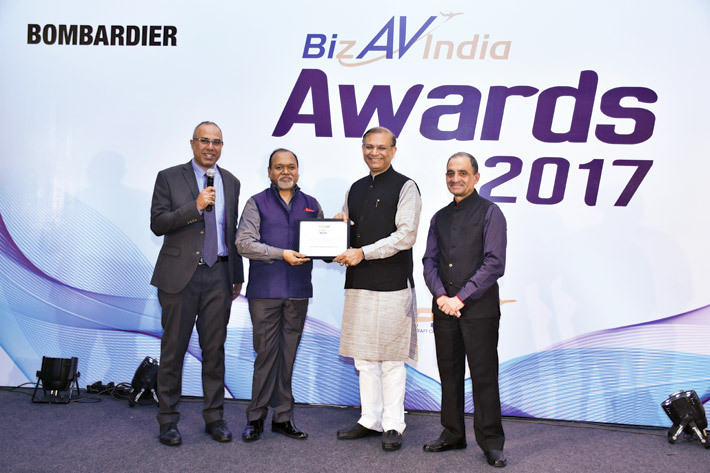 On the commercial side, its Senior Vice President, Sales, Asia-Pacific and India, Dinesh Keskar said that the company would revisit the forecast of 1,850 new commercial airplanes for India from now to 2035 to factor in the requirement of regional jets, post RCS. He said Boeing would wait and watch how the RCS would unfold. While agreeing that RCS would require less than 130-seat aircraft, he said the regional jets and turboprops would first create the market in the second and tertiary markets and in about five years time, it would mature for single-aisle aircraft to move in. In sync with the ‘Make in India’ theme, Rolls-Royce presented its ‘Co-creating the future with India’ vision. It displayed the Adour Mk951, Advanced Military Fan Concept model. 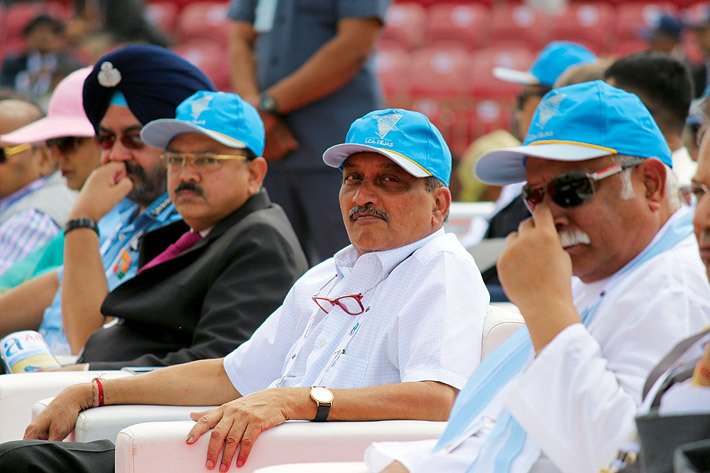 “Aero India highlights the complete spectrum of the country’s aerospace and defence interests. For us this is a significant platform to showcase our continued commitment to support India’s future indigenisation and self-reliance ambitions,” said Kishore Jayaraman, President, Rolls-Royce India and South Asia. 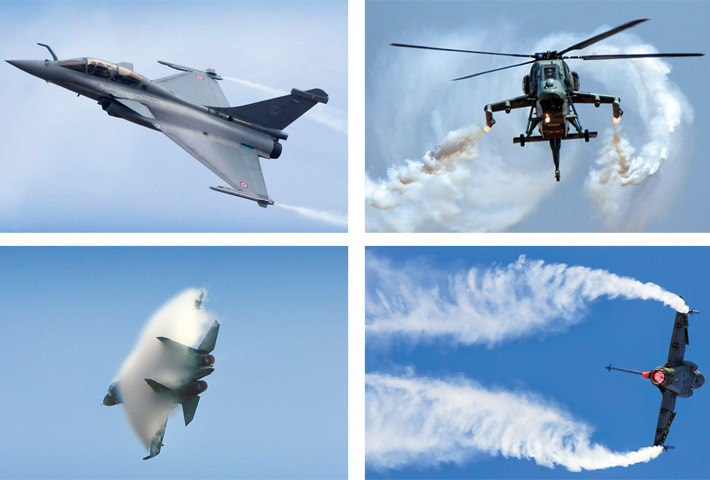 The Dassault Aviation group had significant presence at the airshow with the Rafale roaring in the skies with daily flying displays by the French Air Force. The Indian Air Force has been flying Dassault aircraft since 1953 and the contract to acquire 36 Rafale, signed last September, is a continuation of this strategic, technological and industrial success story. 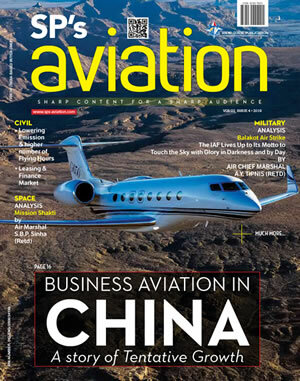 In the field of business aviation, Indian companies are also turning to Dassault, with about 20 already in service. On show was a Falcon 8X, the flagship of the Falcon range, as well as a Falcon 2000LXS. “Dassault Aviation recalls its complete determination to reinforce the partnership that unites it with India, in particular within the framework of the ‘Make in India’ policy developed by Prime Minister Narendra Modi. We thus hope to be in a position to satisfy the future needs of the Indian Air Force and naval aviation”, declared Eric Trappier, Chairman & CEO of Dassault Aviation. 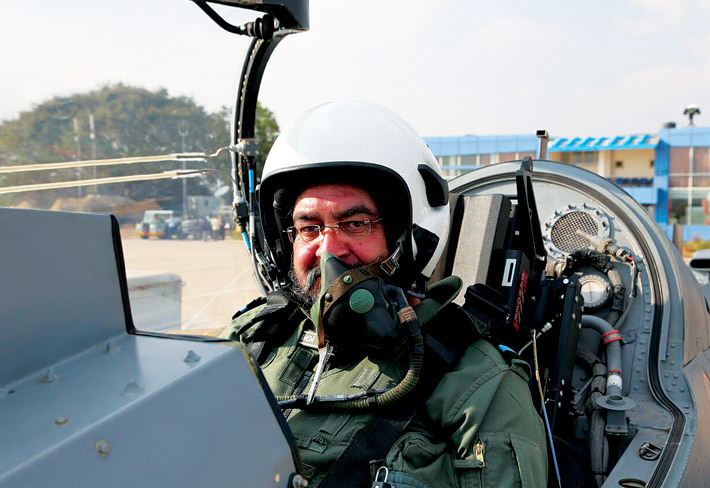 Israel Aerospace Industries (IAI) is expanding its collaboration with local leading companies to integrate strategic state-of-the-art systems for the Indian armed forces in a number of areas and in accordance with the Indian Government’s ‘Make in India’ policy. HAL received a fresh order from IAI to supply eight sets of cargo doors for the main deck of Boeing 737. HAL has already supplied 30 similar doors to IAI, a Tel Aviv-based leading supplier of subsystems and components to Boeing. Rockwell Collins presented Pro Line Fusion — Integrated flight deck leveraging advanced commercial technology for military platforms; Unmanned Aerial Systems — For enhanced situational awareness, surveillance, navigation and communications; Patrol Persistent Surveillance System (PPSS) — Scalable integrated sensor solution to protect from perimeter breach; Modernised HF — IP over Wideband HF communications for interoperable air, sea and land applications, disaster relief and border protection. Bengaluru-based Alpha Design Technologies Private Limited, specialising in R&D and manufacture of defence and space related equipment and system, has shown the mettle of what an Indian company can do with great vision and determination, led by Colonel H.S. Shankar, the founder and Chairman and Managing Director. Alpha Design Technologies not only took huge amount of stall space at the show, it also struck many deals with domestic and overseas companies that are going to further transform defence technologies. It has submitted a bid in response to the Indian Army's request for information for new software define radios (SDRs), which are intended to boost the service's network-centric warfare capabilities. Alpha also signed a $30-million contract with Elbit Systems for the Indian Air Force’s 90 MI-17 helicopter upgrade programme. BEL showcased its wide range of capabilities at spanning every domain of its business — Electronic warfare and avionics; C4I systems and solutions; communication systems; electro-optics; radars; energy shelters and missile systems, besides demonstrating R&D capabilities. Electronic warfare & airborne products on display include avionics for light combat aircraft (LCA), lightweight ESM system for helicopters and LRUs for Rustom unmanned aerial vehicle (UAV). The Chairman of the Defence Research Development Organisation (DRDO), Dr S. Christopher said that DRDO was in discussion with Airbus for the A330 platform for the airborne early warning and control systems (AEW&CS) in the wide-body category. It would go to the Defence Acquistion Council and followed by the Cabinet Committee on Security. The first of DRDOdeveloped AEW &CS which flew at Aero India is on Embraer 145 platform. The second aircraft would be in June with full and final configuration. Wherever and whenever the single air show would be held, it would certainly be bigger comprising both military and civil segments. Obviously, this would call for greater and more efficient way of organising an air show of such mammoth proportions. India is certainly on the move!